The Portage Lake District Library invites all K-6 students and their parents for an evening of fun and science with the Michigan Tech Family Science Night program, tomorrow from 6 to 7:30 p.m. Families will have two hands-on activities to work on. In “Ooey, Gooey Slime!” participants will mix up some common household items, conduct experiments and see what happens. “Starry, Starry Night” will give participants a chance to explore the cosmos and create their own constellation. Family Science Nights develop children’s curiosity and their ability to solve scientific challenges. These activities also provide an opportunity for parents and their children to learn together while having fun and making scientific connections to everyday life. This event is coordinated by the Western UP Center for Science, Mathematics, and Environmental Education and Michigan Tech. Library programs are free and everyone is invited. For more information, call the library at 482-4570 or visit the Portage Lake District Library website and Western UP Center website. In this annual workshop and lunch, 250 seventh and eighth grade girls will tackle science and engineering challenges, meet female role models from Michigan Tech, learn physics concepts and explore their interest in science/engineering. The goal is to inspire more young women to pursue careers in STEM (Science, Technology, Engineering, Mathematics). Read more at Tech Today. 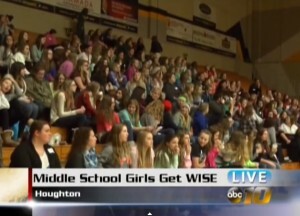 Roughly 250 middle school girls from throughout the Keweenaw area got their hands on some science at Michigan Tech. The Get WISE event, which stands for Women In Science and Engineering, is geared for young girls to help get them interested in possible careers in those fields. Read more and watch the video at ABC10 News. More than two dozen women students will be attending today’s Michigan Tech Career Fair and the job interviews that follow dressed as the professionals they will soon become, thanks to a brainstorm by a couple of women faculty members at Tech. When Amy Lark, an education instructor in the Department of Cognitive and Learning Sciences, discovered that the Campus Bookstore does not sell women’s business attire, she and Susan Amato-Henderson, chair of cognitive and learning sciences, discussed alternatives. They came up with the idea to ask faculty and staff to donate women’s business clothing that female students could wear. With just two days’ notice, approximately 15 people donated, and academic advisers were invited to let their women students know that clothing in sizes 4 to 20 was available. For Assistant Professor of Science Education Amy Lark, as well as other members of the campus community, persistence has paid off, as work has continued to try to get women’s professional clothing sold alongside the current selection of men’s clothing at Michigan Technological University’s Campus Bookstore. Read more at Mining Gazette (subscription required). Steven Landry, MS student in Applied Cognitive Science and Human Factors, was quoted in the article “Despite drop in collisions, intersection of roads and rails still a dangerous place.” Landry noted that each year fewer and fewer people were killed in grade crossing incidents. He gave reasons which included studies of driver behavior at railroad crossings. 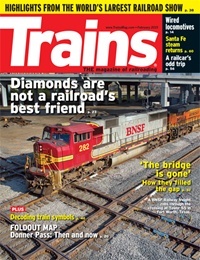 Read more at Trains Magazine, by Justin Franz. Subscription required. With a National Science Foundation (NSF) grant, a civil and environmental engineering professor at Michigan Technological University is trying to help the next generation of PhDs learn to better communicate their research. Alex Mayer, the Charles and Patricia Nelson Presidential Professor at Michigan Tech, runs a fellowship program that teaches PhD students in a variety of fields to explain their research in K-12 classrooms and to write news releases to communicate with the public through the media. Others working with him on the grant are Nancy Auer, Biological Sciences; Brad Baltensperger, Cognitive and Learning Sciences; Kathleen Halvorsen, Social Sciences and School of Forest Resources and Environmental Science; Shawn Oppliger, Copper Country Intermediate School District; and Linda Nagel, formerly at Michigan Tech, now at the University of Minnesota. 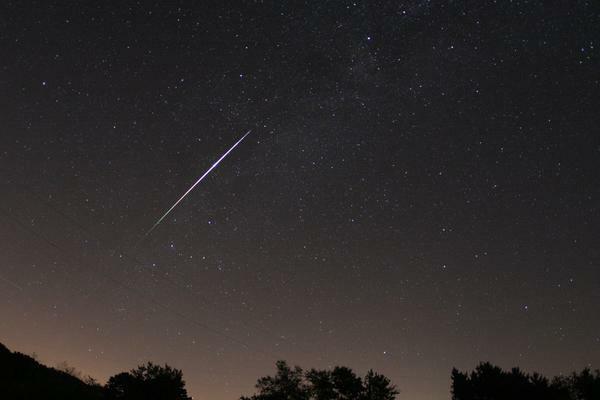 Read more at Michigan Tech News. An Engineering Exploration Day will be held for girls (grades 7-12) and their parents on Saturday, Feb. 21, from 9 a.m. to 1 p.m. at the Great Lakes Research Center. Celebrate Engineers Week and come find out what engineering is all about. Try some fun hands-on activities led by women engineering students at Michigan Tech and discover their love of engineering. Learn how engineers make a difference and why engineering is a great career choice, as well as the many career paths open to engineers. Registration will be free to the first 40 girls and their parent(s) or chaperones. Lunch and all activities are included. The deadline to register is Thursday, Feb. 19. To register, call 7-3341 or fill out the electronic form. For more information, contact Joan Chadde at 7-3341 or at jchadde@mtu.edu. Read more at the Mining Gazette (subscription required). The William G. Jackson Center for Teaching and Learning seeks input for its annual Distinguished Teaching Awards, which recognize outstanding contribution to the instructional mission of the University. Based on more than 50,000 student rating of instruction responses, ten finalists have been identified for the 2015 awards. The selection committee is soliciting comments from students, staff, faculty and alumni to aid in its deliberation process. Associate Professor William Kennedy is one of the finalists in the Associate Professor/Professor category. Comments on the nominees are due by Friday, April 3, and can be completed online. The process for determining the Distinguished Teaching Award recipients from this list of finalists also involves the additional surveying of their classes. The selection committee makes the final determination of the award recipients. The recipients of the 2015 Distinguished Teaching Award will be formally announced in May 2015. The Community Outdoor Nature Programs are free events for families that focus on engaging parents and children in creative outdoor play and nature exploration. All families are welcome to attend the twice-monthly events that will be held at the Nara Nature Center and the Maasto Hiito Chalet in Hancock. Families will explore local trails and create take-home nature projects while learning about our local environment. Programs will be held one Monday evening each month from 6:30-8 p.m. and one Saturday afternoon each month from 2-4 p.m, starting from either the Nara Nature Center or Maasto Hiito Chalet. The next program is on Monday, Feb. 9, at 6:30 p.m. Participants will have the opportunity to experience stargazing, sensory activities, owl-calling, nocturnal animals and snowshoeing. During the winter, snowshoeing will be a part of all programs. Bring your own snowshoes if you have them. The Center will have 30 pairs of snowshoes on hand. Dress warmly as the program will be mostly outdoors. The Jan-June schedule of programs is available. Programs are led by the staff of the Western UP Center for Science, Math and Environmental Education and funded by the Michigan Association of Environmental Professionals. The Western UP Center, established in 2000, is a partnership of the Michigan Tech Center for Science and Environmental Outreach, the Copper Country ISD and the Gogebic-Ontonagon ISD, offering a wide variety of K-12 education programs to enhance the teaching and learning of science and mathematics. Find out more by visiting the Center website or by calling the Center at 7-3341. The American Society of Mechanical Engineers (ASME) Rail Transportation Division (RTD) has awarded Maryam Fakhr Hosseini an ASME RTD Graduate Student Conference Scholarship for the 2015 ASME Joint Rail Conference (JRC). The scholarship, in the amount of $1,100.00, is intended to pay for transportation, lodging, and meals. The scholarship also covers reimbursement of the full student conference registration fee. The ASME RTD scholarship gives graduate students the opportunity to network with rail industry professionals and to expand their knowledge of rail research, technical advancements, and industry needs. Fakhr Hosseini is a PhD student in Applied Cognitive Science and Human Factors. Her advisor is Myounghoon “Philart” Jeon.